Mercedes-Benz made an official debut at this week’s Monterey Car Week festivities at Pebble Beach New of its new electric coup with a really extravagant look. Vision Mercedes-Maybach 6, as Mercedes named the new vehicle, is a mix of “sensual purity” and “aerodynamic efficiency” according to Daimler AG design lead Gorden Wagener. 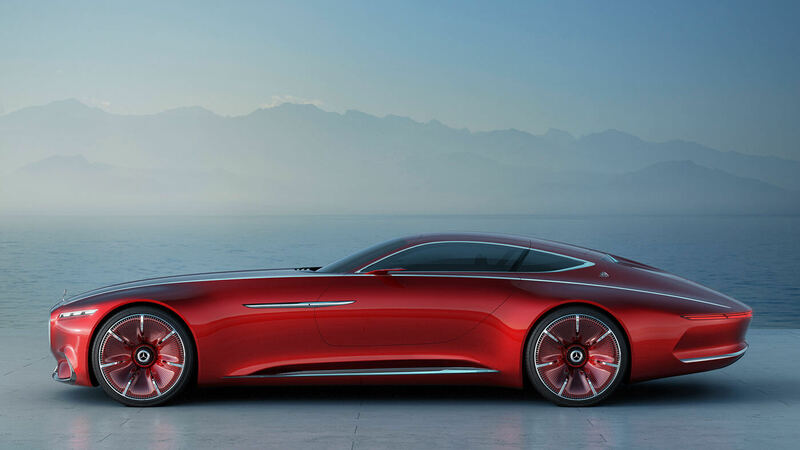 From Mercedes also say that Vision 6 is a perfect coupe for those who like hot-cool combination. The first thing you’ve probably noticed from the photos is that Vision 6 is a very long automobile with low roof, a design that was specific for some past era. And Mercedes wanted exactly that, to paid the homage to those vehicles with this model. “Boat tail” and gull wing doors are new original touch to the concept. Inside everything looks very neat; a wide-open view, the dashboard wrapping into the door panels and the seats (a 360 lounge), driving data and other information projected on the windshield, wooden floors… Everything you need for a first-class road trip. As for esthetics, you may like the 6 or not, it’s the matter of taste, but technical characteristics are pretty much objective indices: the 6 is all-wheel drive thanks for four electric motors capable of 550kW of power and 738 horsepower; 0-100 km/h (0-62 MPH, approximately) in under four seconds and a top speed of 250 km/h (around 155 MPH); the luxury EV claims 500 km on a charge, can charge enough to take you 62 miles (100 km) in five minutes. And now we’ll have to wait and see if Mercedes plans to make this concept a real thing sometime in the near future.